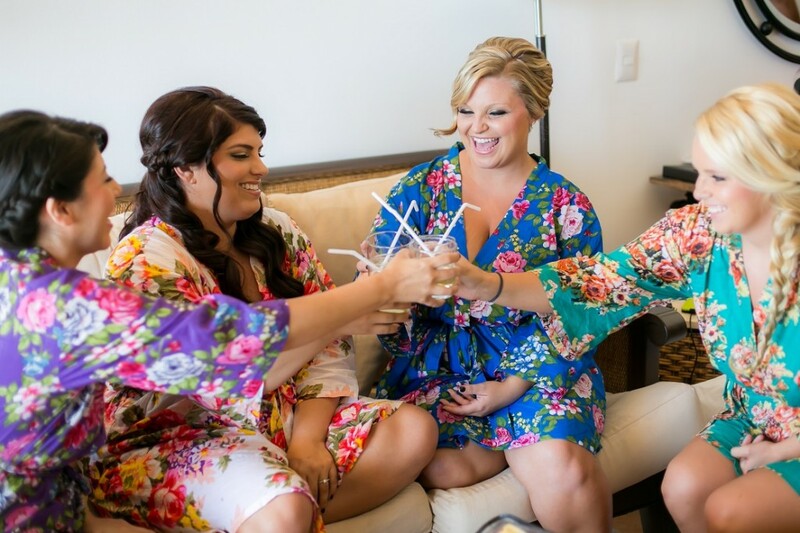 In keeping with the positive, fun spirit of Los Cabos, we are happy to share another great bridal hair and make-up look from the Hyatt Ziva this past June! 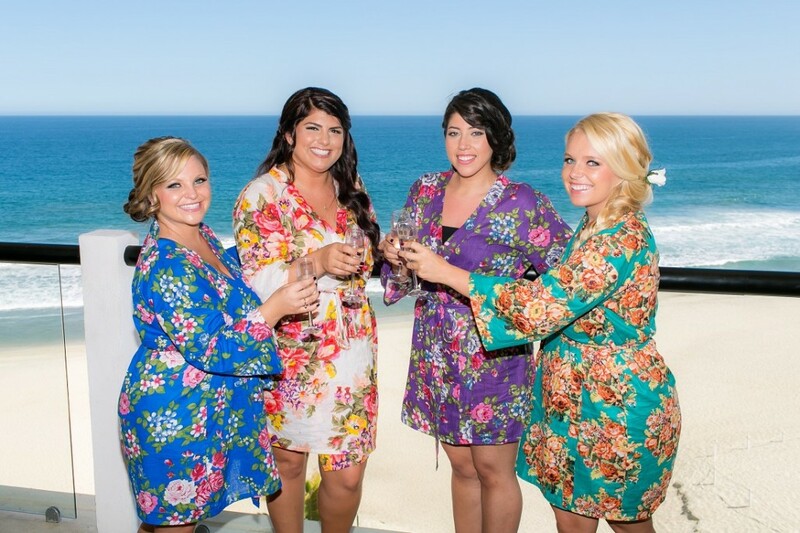 Bride Teresa hired Kelly and Meaghan of Sweet Pea Events in Dallas to handle her summer destination wedding in Los Cabos. 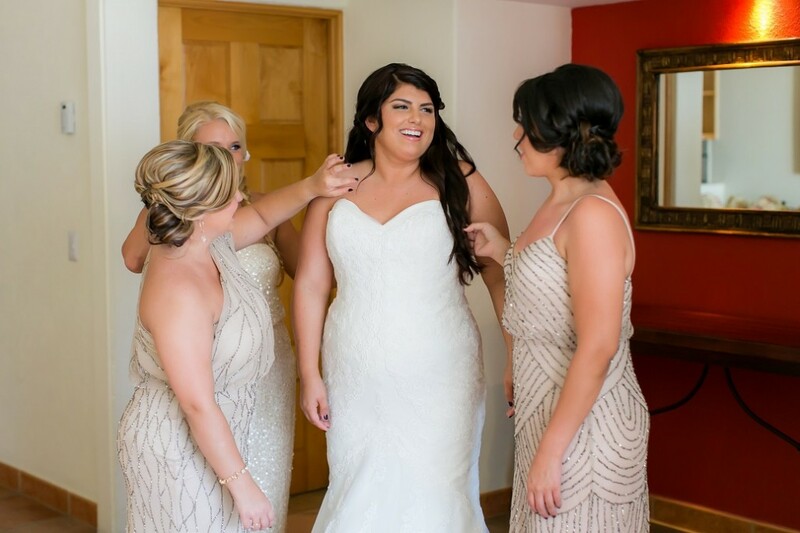 We love working with the ladies of Sweet Pea, just as much as we love meeting their wonderful clients like Teresa and her bridal party! 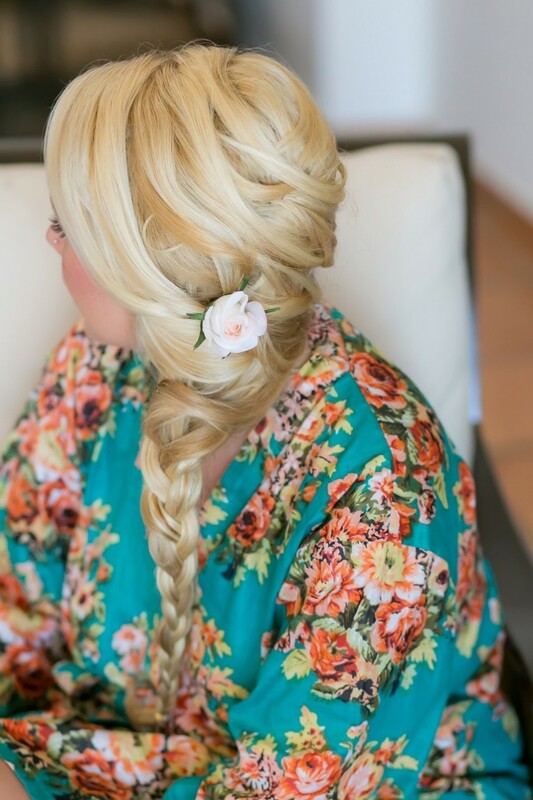 This group got a variety of unique hairstyles, including a soft side braid with a flower, a soft wavy down-do and a loose side chignon. 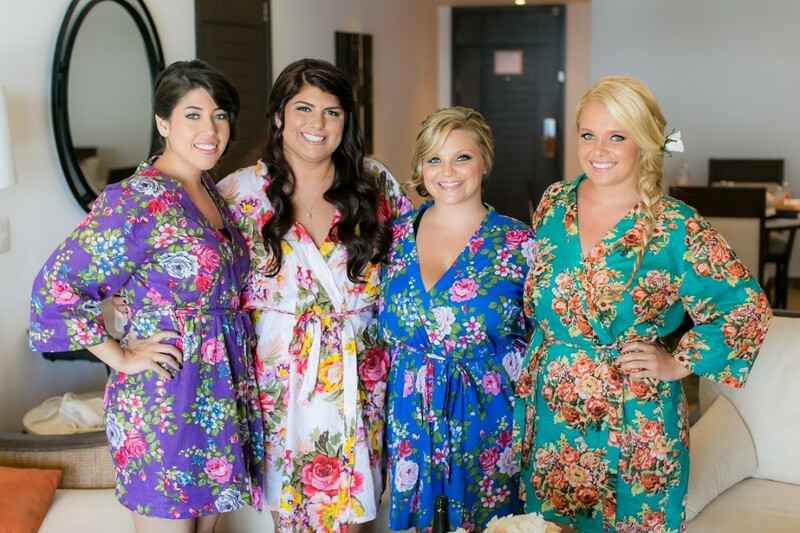 Their hairstyles were a perfect match with their different bridesmaid dresses! Everyone’s make-up look was more similar, with well-defined eyes and lashes finished by natural lips. Our stylists always apply just enough make-up to make you look fabulous in photos, yet still natural and fresh in person. 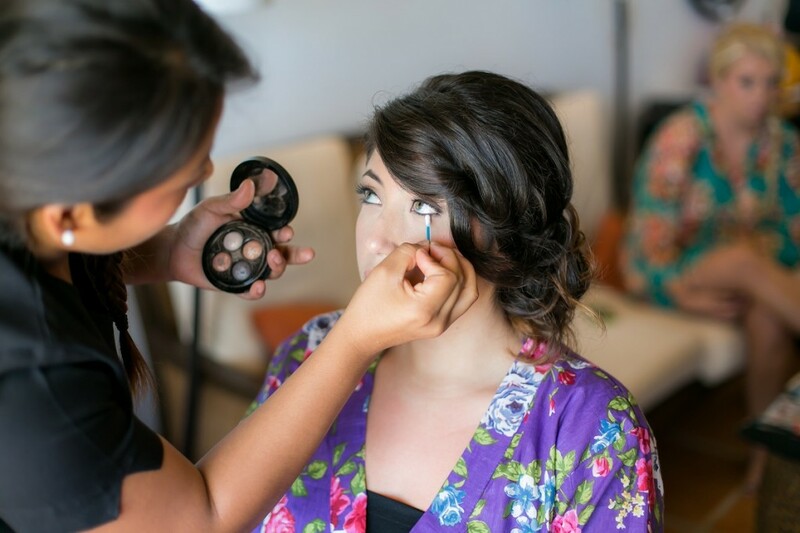 Remember, our make-up artists and hairstylists are experts when it comes to styling bridal parties in Los Cabos. They know exactly which products to use and how much to apply to make sure you look perfect all day and never overdone! Teresa and her girls looked flawless from start to finish—indeed their styles lasted throughout the evening despite the warm summer weather. And of course we can’t wait until our next special wedding with Kelly and Meaghan! 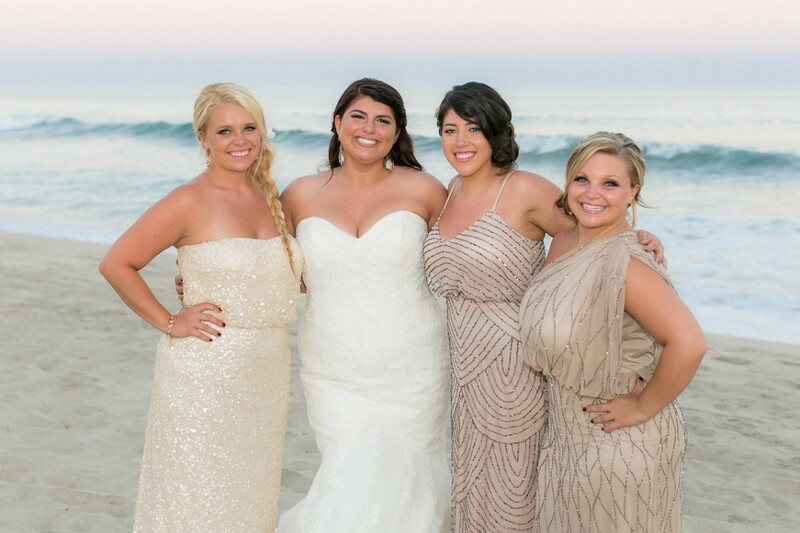 This entry was posted in Cabo Bridal Hair and Makeup and tagged bridal hairstyle, Bridal Makeup, cabo beach wedding, Cabo wedding, cabo wedding beach, cabo wedding bride, cabo wedding bride hair, cabo wedding bride makeup, cabo wedding bridesmaid, cabo wedding bridesmaid makeup, cabo wedding bridesmaids, destination wedding Cabo, destination wedding Mexico, Hyatt Ziva Los Cabos, loose wedding hair, mobile hair salon, romantic wedding hair, soft wedding hair, Sweet Pea Events, wedding braided hair, wedding chignon, wedding downdo, wedding updo.